All mint tea is not created equal. Probably because there are so many different kinds of mint to choose from. For the most part, if you purchase bagged mint tea in the grocery store, it will either be labeled “peppermint” or simply “mint,” in which case it is likely to have more of a spearmint flavor. 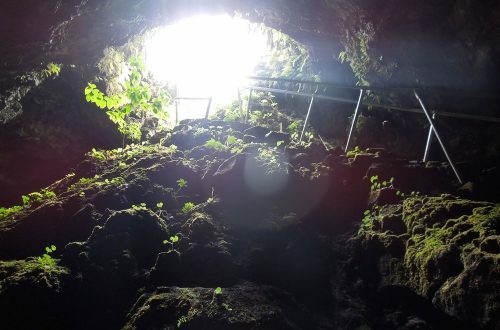 At Hana Farms, however, we have at least seven different kinds of mint growing, each of which has a unique flavor and could be made into a distinct tea. 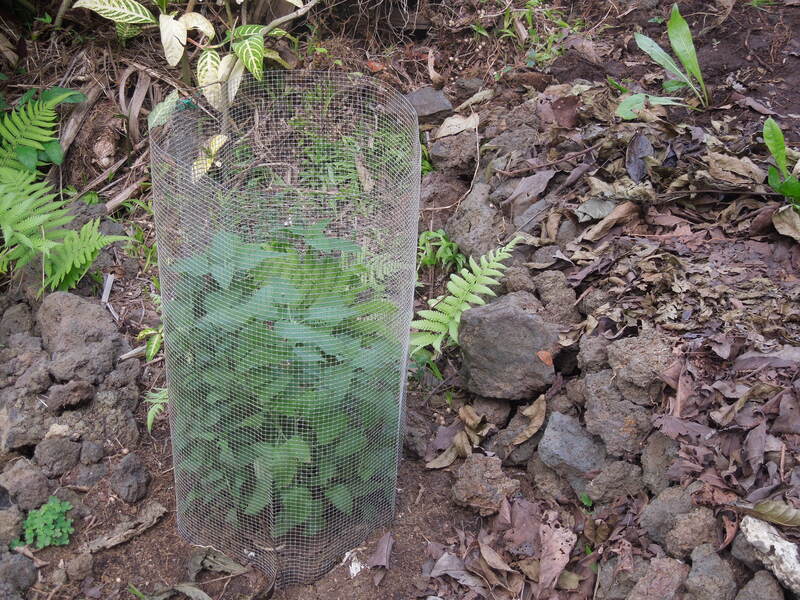 Almost all of them grow in our official Tea Garden, but some of them also grow as weeds around the entire property. 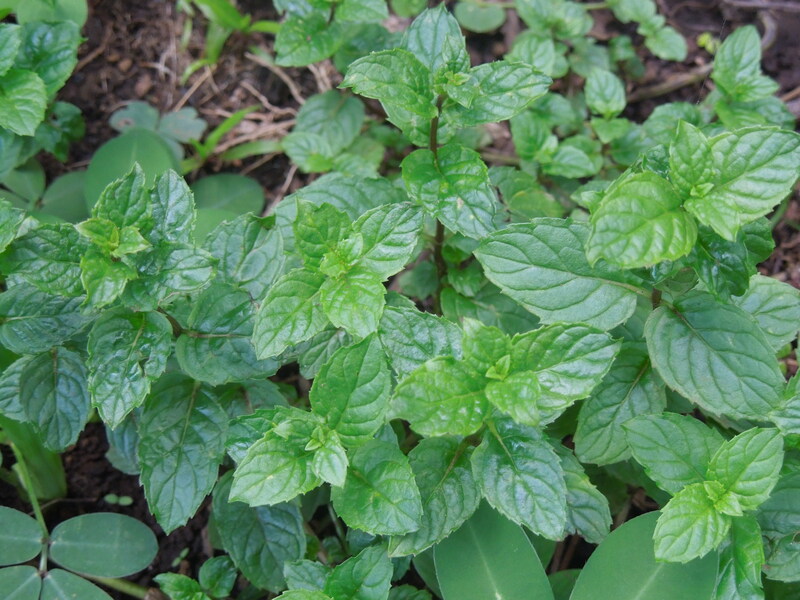 The most prevalent and easily identifiable mint here is spearmint, which grows around the sides of garden beds and along the steps up to the Lanai — pretty much anywhere it can take root. I’ve mentioned this plant before because I remember it growing along the side of my childhood home’s driveway, unbothered by car exhaust or dust. 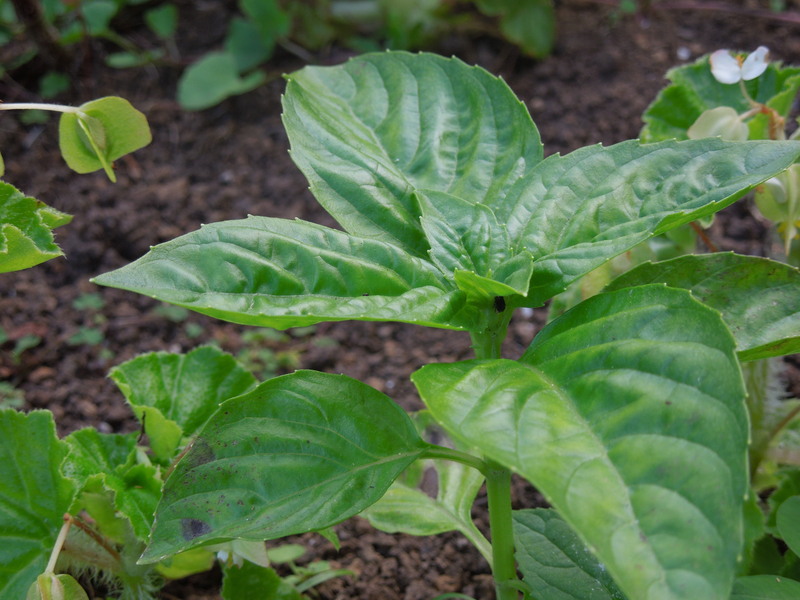 There are other types of mint that grow freely around the farm such as chocolate mint and an unidentified mint that the farm manager here thinks might just be a wild spearmint. 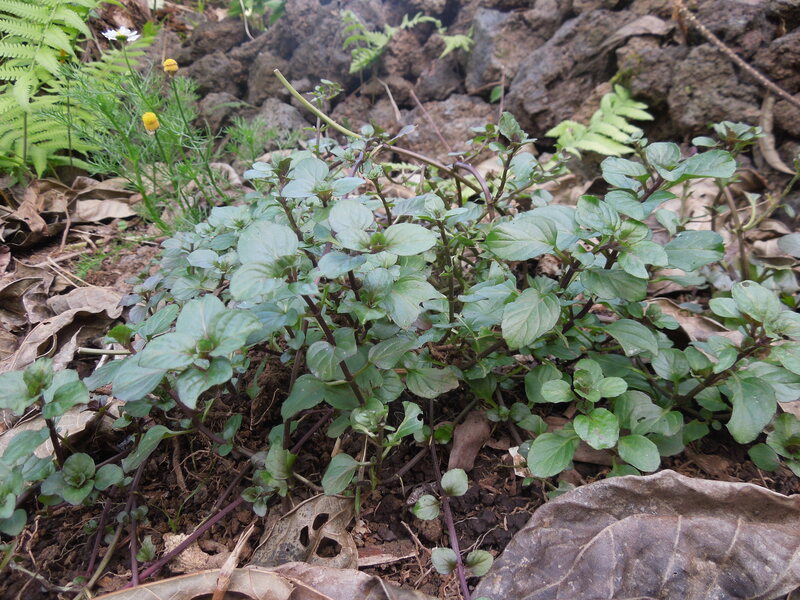 The wild spearmint looks and tastes a lot like its apparently domesticated cousin, but has rounder, softer leaves. 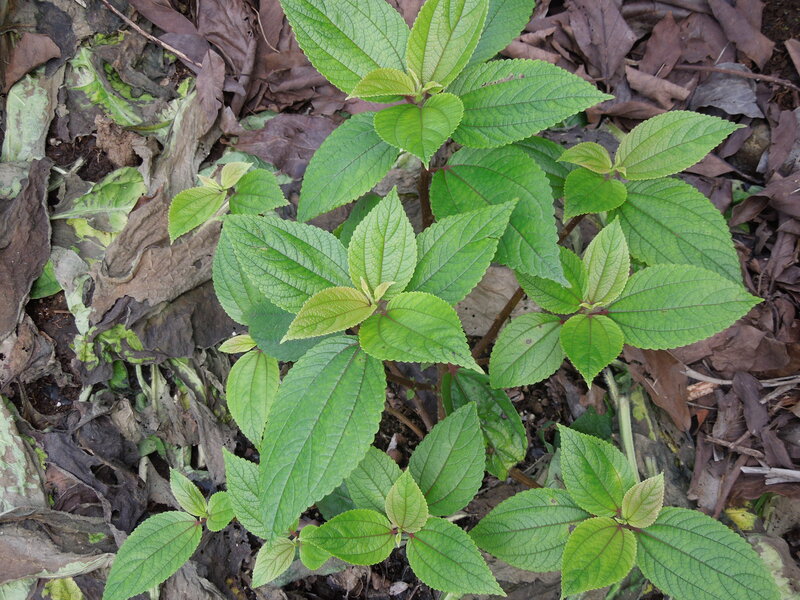 Chocolate mint also grows weed-like around the farm, but looks distinct with dark, shiny leaves. It can easily be confused with orange mint so the best way to tell them apart is to smell them. Unsurprisingly, orange mint has a slight citrus scent while chocolate mint smells more like chocolate. 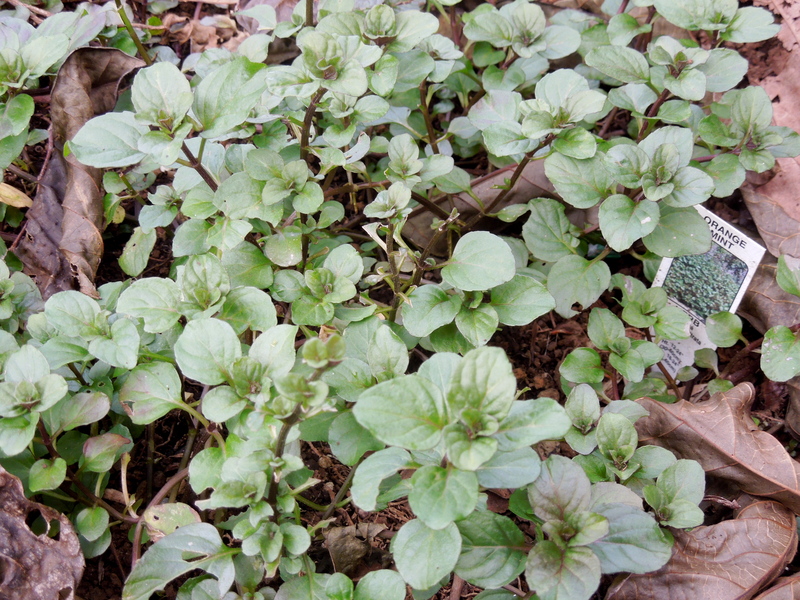 Pineapple mint is easy to spot because its leaves turn tan around the edges. 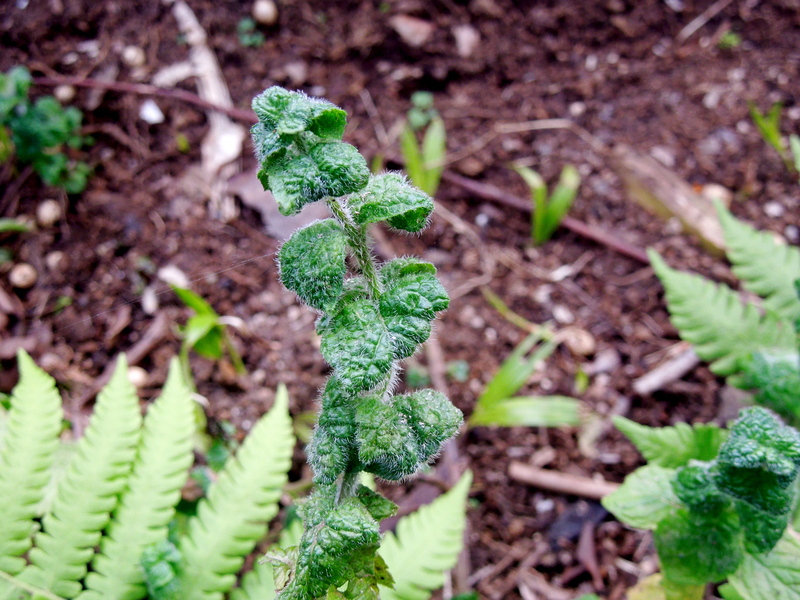 Meanwhile, apple mint looks a lot like spearmint, but the stems typically grow taller and the leaves curl under. Neither pineapple mint nor apple mint taste like the fruits for which they are named. However, they do have distinct smells and flavors, which could be mixed in various proportions to create different teas. 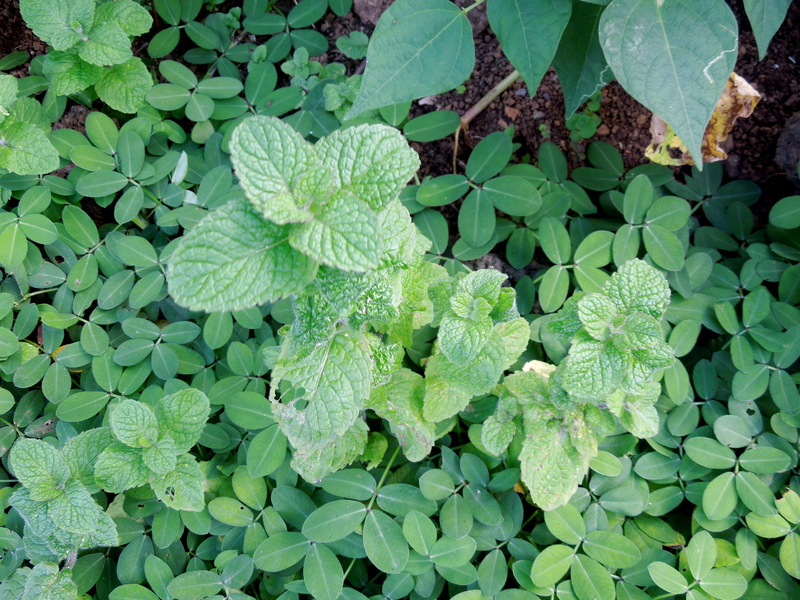 Yes, catnip is a type of mint, and it can even be used to make tea. This herb has the opposite affect on humans that it has on cats; while it excites our feline friends, it actually relaxes people. In fact, catnip is one of the ingredients in Celestial Seasonings’ ever-popular Sleepytime Tea. I realize this is the second time I’ve referenced Celestial Seasonings recently, but it’s such a popular brand in the United States that it seems relevant. When I was researching red zinger a few weeks ago, I looked at Celestial Seasonings’ Wikipedia page and found the “references in media” section pretty amusing. There is one more mint growing on the farm that I want to mention and, although I’m not interested in making tea with it, I was interested to hear that it’s a part of this delicious family. Apparently, basil is a type of mint. When E’s sister taught me this, she plucked a leaf from the plant, and told me to remember that it’s a mint when I smelled it. I wondered how I could’ve mistaken basil for anything other than mint. I still don’t particularly want to make tea from it, but pesto sure sounds good. Were you surprised that basil and catnip are types of mint or is that common knowledge I missed out on? Regardless, which kind of mint do you think I should make into tea? What fun to know all the mints you are growing! 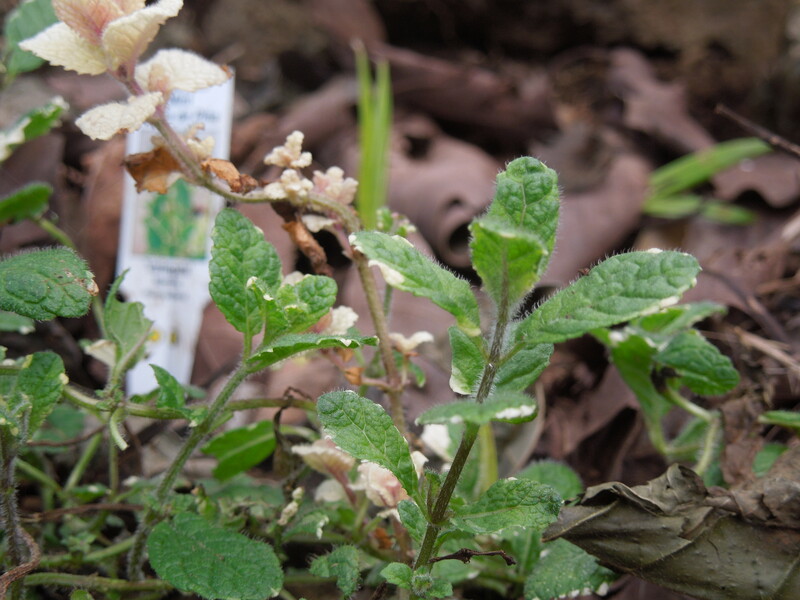 To know if a plant is in the mint family a good clue is to roll the stem between your fingers. Mints have square stems, not round. 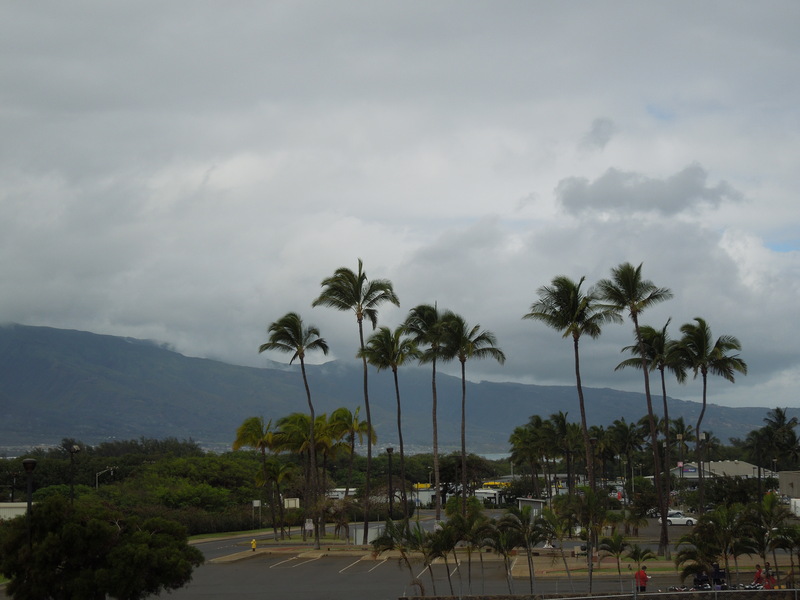 One note… when the leaves “turn tan around the edges” they are variegated. You will find variegation on many plants. It is a desirable feature. When you make tea, try adding just a bit of basil. It’s lovely! I didn’t know the tan parts were called variegation, but I knew the leaves were healthy. If you say it’s good, I’ll definitely try adding a bit of basil to my tea! 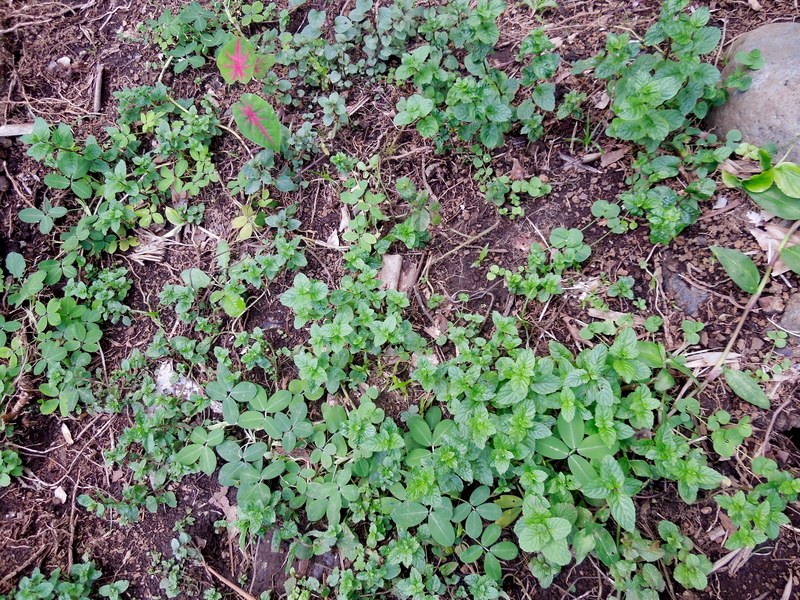 Yes, I was surprised of the variety of mints growing in the mint garden. Also, I had no idea Basil is in the mint family. I love fresh basil! In the summer, I sometime make a simple salad of tomatoes and basil with vinegar and oil. Yum! It was also interesting that catnip has the opposite effect on humans as it does on cats. I love fresh basil too; I actually wish we had more of it growing around the farm. I definitely want to go to the Celestial Seasonings factory! I’ve heard it’s really fun. Also, I’ll ask around about basil seed and let you know what I find.